A snowcat & coach is an enclosed-cab, truck-sized, fully tracked vehicle designed to move on snow. Enjoy and get to the best spots in the Rockies from inside a snowcat. The Vail / Beaver Creek area has amazing coach tours. See the mountain like never before. 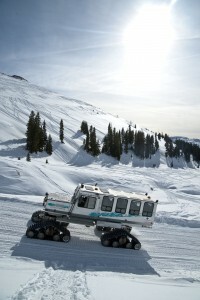 Check out our area Vail / Beaver Creek snow coach tour outfitters.